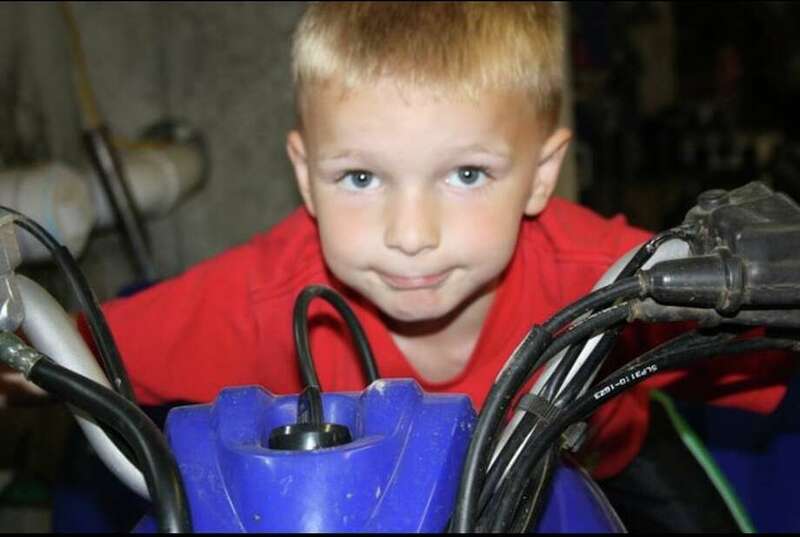 Chase Kowalski, 7, was always outside, playing in the backyard, riding his bicycle. Just last week, he was visiting neighbor Kevin Grimes, telling him about completing -- and winning -- his first mini-triathlon. "You couldn't think of a better child," Grimes said. Grimes' own five children all attended Sandy Hook, too. Cars lined up outside the Kowalski's ranch home Saturday, and a state trooper's car idled in the driveway. Grimes spoke of the boy only in the present tense. With 11 days left until Christmas, Chase was without both of his two front teeth. "I saw him two days ago, and I asked him if he wanted to see Santa, and he told me that he wanted his teeth back, and it was really sweet," Chase's 13-year-old next-door neighbor Keeley Baumann said Saturday evening. Keeley, who has known Chase his whole life, and is nearer in age to his two older sisters -- Erin, a ninth-grader, and Brittany, a sixth-grader -- choked up at times as she described the blonde-hair, blue-eyed child she'd "never get to see grow up." His family released the following statement about Chase: "Chase was an amazing son, brother, and grandson whose heart was only filled with love for all the people he touched. He was a fun-loving energetic boy that had a true love of life. He completed his first triathlon at the age of six and ran in many community road races. Chase had a deep love for the game of baseball and enjoyed practicing with his father and team mates. Joining the cub scouts was just one of his many interests. He could often be found in the yard playing ball, riding his bike or quad. Chase was always excited to attend the kids work shop at the Trumbull Home Depot. He was greatly loved by his family. He joins his maternal Uncle and Grandfather, his paternal great grandmother and grandmother in a much better place. "Please continue to allow us to celebrate his life in private. Please know that he is physically gone, but will never leave the hearts of his family, friends and now the world."